Ever since man has gone to sea in ships, it has been necessary to rescue him in times of danger. The two local lifeboats, one at Gorleston and one at Caister, serve this purpose admirably. 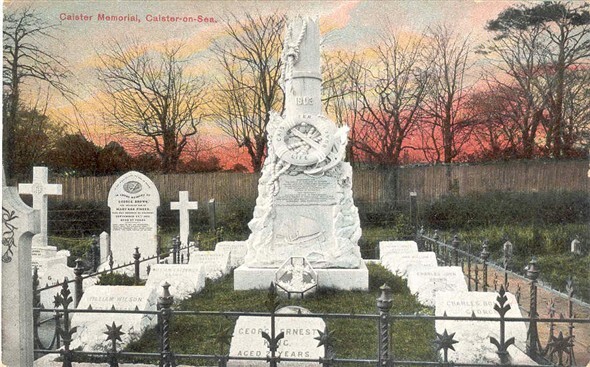 In Caister churchyard, there is a memorial, shown here, to those who have given their lives so that others may live.